Later harvest, shorter growing season, and more dependence on cool-weather and storage crops mark Upper-Midwestern seasonality. Exact crop availability and harvest times vary year-to-year, but this summary will help you know when to look for what at markets near you. You can also look up produce by seasons (spring, summer, fall, winter) or region. Basil, August and September. Turn big bunches in pesto or freeze it for later in the year. Brussels Sprouts, August through mid-November. If you see Brussels sprouts being sold on their giant stalks, snap them up for easy transport home! Carrots, June through October. Note that the local harvest is likely to be available from storage through winter. Pea Greens, June and July. The big, tangled bunches cook down to almost nothing, so buy more than you think you'll need! Shelling Beans, September through October. These are the kinds of beans that get dried for long-term storage. Tomatoes, July through early October. 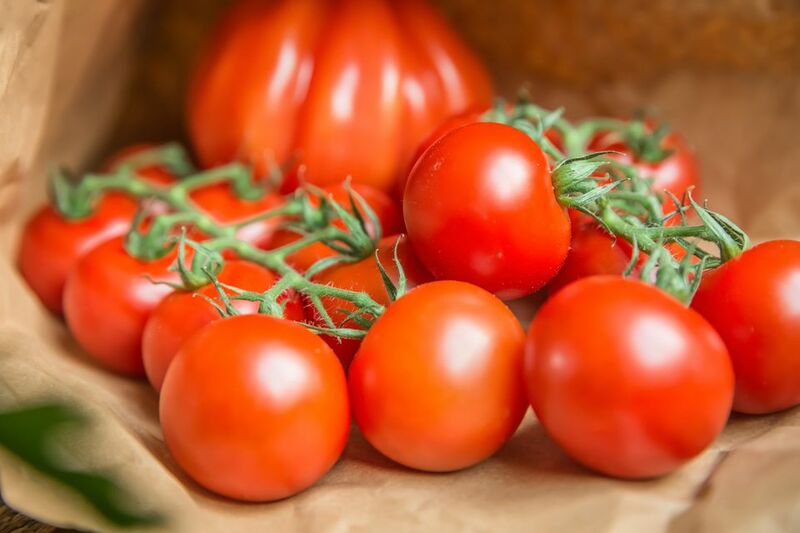 Look for dry-farmed tomatoes for the best flavor.